We’re about to wrap up the Benin mission. Before leaving, I need to thank Daouda Aliou, the Fisheries and Environment Specialist of IFAD-funded Participatory Artisanal Fisheries Development Support Programme (PADPPA), who was my guide and mentor for the last three days. I had the pleasure of spending three days with Aliou and have learnt so much from him. He took me to many project sites, and introduced me to some extraordinary people who had benefitted from PADPPA. This morning I asked Aliou to share his views on PADPPA’s achievements and challenges. Here is what he had to say. I think I am safe to say that there is unanimous agreement that PADPPA was the first ever project in Benin that focused exclusively on artisanal fishers, their livelihoods and their communities. It was also the first ever project that provided them capacity building on how to better manage their fisheries resources and helped to rehabilitate the wetlands and other water bodies. 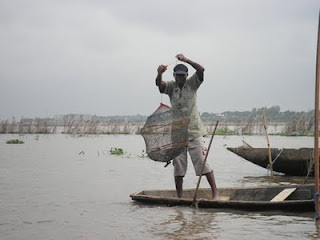 Given the ever declining fish stock and the competition over fishing resources, it was the first ever project that endeavoured to provide artisanal fishers with alternative income generating activities. And where it managed to do so, it was very successful. A case in point is Paul Allognon, the fisher who became a farmer. While it is true that changing people’s mindset is perhaps one of the most difficult things in the world, however, there was consensus that in retrospect, to change the fishers’ mindset and encourage them to embrace agriculture-related activities such as horticulture, rabbit or pig farming, PADPPA could have mounted a more aggressive awareness raising campaign. Reflecting on PADPPA’s achievements, Olivier Vigan, Secretary-General of the Ministry of Agriculture, Livestock and Fisheries observed: “Only if we could have changed the mindset of many more fishers, that would have made this programme a success”. “In retrospect, we should have had many more awareness building programmes and prepared the fishers psychologically to convert from fishing to other activities”. Echoing Mr Vigan, Aglinglo Crespin, responsible officer for rationalization of the fisheries subsector component, said: “We could have done a better job if we had managed to change more mindsets. At the same time I guess if we had spend a bit more time on the ground and monitored more closely the various activities, we could have really made a dent and converted many more fishers”. As the first ever project focusing on the welfare of artisanal fishers, PADPPA launched a safety and security programme. “We go proud of the programme’s activities in the area of safety and security”, says Richicatau Sale, responsible officer for the institutional capacity component. 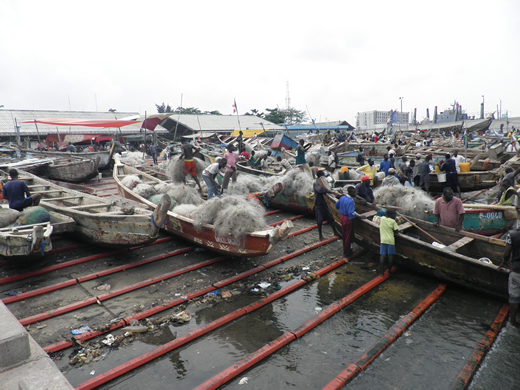 “Thanks to PADPPA’s efforts and our partnership with the military marine, we trained fishers on safety and security measures. Today, the fishers know how to avoid colliding with other boats, what to do in case their nets get damaged or their boat capsizes or the engine explodes. As a result causalities have declined by 50%”. “We’ve also observed that fishers are no longer going out alone, but in pairs if not more and all of them have a mobile phone, this way, when in danger they are just one phone call away to ask for help”, concludes Sale. Another feather in PADPPA’s hat is the literacy, reproductive health, hygiene and sanitation trainings and awareness building campaigns. A very proud Sale shares how when the women who received reproductive health training, asked that the same training be extended to their husbands. But as Aliou put it so well this morning, “we could have had better impact if we had first sensitized the men on reproductive health issues.” And he is so right. You always need to start at the source! The literacy programme offered by PADPPA has definitely helped many poor rural people, fishers and producers to manage their income and resources more efficiently. Those who attended the various sessions, are now able to read, write and keep track of their income generating activities. PADPPA’s community-driven development (CDD) aspect helped the programme to better understand the needs of the people it was serving. Did it do an equally good job in making sure that the communities also understood what was their role in the equation? Well, maybe not quite. It seems that not everyone - and here we’re talking about beneficiaries, extension workers, programme and government colleagues - fully appreciated CDD’s fundamental pillar of giving control over planning decisions and investment to communities and local government. PADPPA also focused on rehabilitating wetlands, water bodies and engaged in reforestation activities. Amongst other things, it financed the creation of a number of spawning beds, which are allowing fishers to count on secure catch. 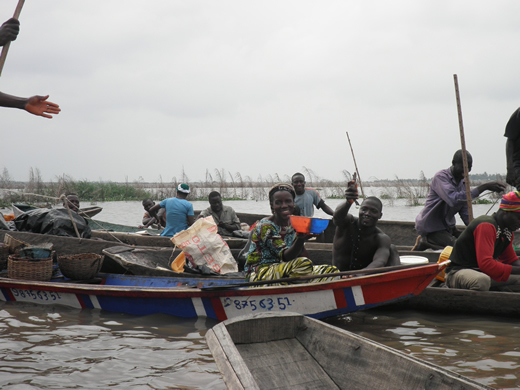 “I believe that thanks to PADPPA activities, we’ve managed to lay the foundation of a national fisheries policy for Benin”, says Afomasse T. Mesmin, the officer for the wetland management component. In terms of project management, the programme could have benefitted from a more efficient and effective administrative and financial management team. This weakness ended up hampering implementation, causing unnecessary delays in the provision of services to beneficiaries. The programme witnessed a turning point in 2009 when IFAD started to provide implementation support and directly supervise its activities. I wonder how things would have panned out if we had provided implementation support and directly supervised this programme from the beginning. Here are my take-home messages and I am sure none of these are new to anyone. I just wonder, why is it that we do not systematically apply the learning from one programme to another.... I guess that is a whole other debate. Many of the people who benefitted from PADPPA indicated access to credit as an enormous challenge. Lea Afi Amoussou, a farmer in the village of Nicou-condji in Grand-Popo shared her plight of getting a loan: “I went to ask for credit. Completed all the forms and submitted them. A month after submitting, I followed-up and was told to come back. When I went back, they just told me I cannot have the loan and did not offer any explanation”. Rose Mensah the successful rabbit farmer wanted to get a loan to build a new rabbit pen and was faced with the same obstacle as Amoussou. IFAD in close cooperation with the Government of Benin is in the process of finalizing the results-based country strategic opportunities programme which will guide IFAD’s intervention in the country for the next five years. It is within this context that IFAD’s next interventions in Benin amongst other things will also focus on rural finance. This will hopefully allow people like Amoussou and Mensah to finally have access to credit and be able to expand their businesses and turn their dreams into reality. In a couple of hours time I will be catching my flight back home. I am leaving Benin with a heavy heart. It was such an amazing mission. It was a treat to work with great people such as Daouda Aliou and his colleagues. I am ever so grateful to Ndaya Beltchika for giving me this opportunity. It was a great learning experience and I hope I met her expectations. I still have to tell the stories of the fishers, crab collectors and my humbly experience when I visited the lake village of Ganvie. So, keep an eye on this space. I am leaving behind the “Centre de miracle”, but hope to share and transmit all the positive vibes I got to my colleagues in Rome.